Create your own story through interactive games and imagination with our Ballina blogger and author, Mammy Red Head AKA Gemma McLoughlin. Children are encouraged to get writing and drawing, talk about how a story comes together then create one! 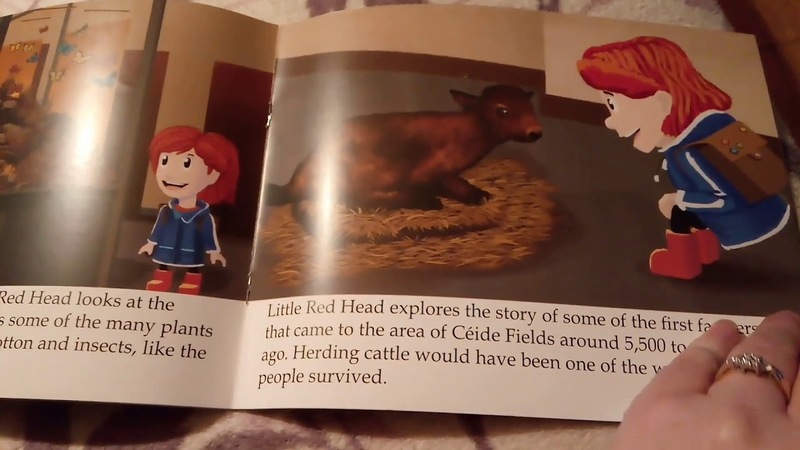 The workshop ends with a reading from Mammy Red Head’s book, ‘Little Red Head in the Céide Fields’. For each workshop children need to wear comfortable clothes and footwear and bring a drink. Please note a limit of two children per booking applies. Rinka Ballina offers non-competitive classes to build children’s confidence, using a dynamic and fun system to manage their health and wellbeing through active and creative fitness programmes. Whatever a child’s interest, there is something to offer with classes ranging from dance, drama and fitness. Creating healthy bodies, healthy minds and happy hearts is Rinka’s business! Your child will enjoy this fun fitness workshop that will benefit both body and mind! Admission: €2 non-refundable. Book below or by calling into the Ballina Salmon Festival Booking Office in Ballina Tourist Office. Places will be allocated on a first-come, first-served basis. Max two children per booking.